Long established licensed premises occupying a prime town centre site. 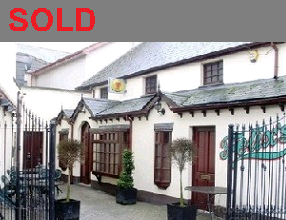 Comprising traditional public bar and former first floor lounge bar. Extensive licenced complex capable of holding up to 1,600 patrons. Prominently located in Strabane town centre. Katy Dalys is a well known bar and night club complex located on an extensive site in Strabane town centre, internally the accommodation is arranged to provide 4 interconnected bar areas with a separate VIP lounge and extensive back of house accommodation.